Interested in purchasing our E-Liquid Products at wholesale pricing for your retail store? Your store needs our brands! Vape Craft has a vape juice wholesale program in place which offers a variety of high quality craft e-liquids at price points that can suit any budget and needs of your store. We currently have 5 different brands: Vape Craft, High Class Vape Co, The Classic Vape Line, and Vapors Anonymous. Many of these brands include the ultra popular vape juice lines such as High Class Bombshell E-liquids, The Classic Black Label Line and The Vapors Anonymous line that put us on the map. Our original Vape Craft and Anonymous line were created with the connoisseur in mind and since then our expert mixologists have crafted several more lines that are now on vape shop shelves around the globe. Our mission is to offer delicious e-liquids at affordable prices to our end customer, which means as a shop owner we would like you to pass along the savings to your customers and for that reason our wholesale prices on bulk e juice are 40-50% below industry average. Contact us today to see if you qualify for a free sample pack to your store. We will send you 3 of our top selling flavors to sample. If you would like to sample more flavors you can simply place a small test order. We do not have an MOQ (minimum order quantity). We want you to feel as comfortable as possible when working with us and for that reason we will offer you a 30 Day Money Back Guarantee on your first order up to $500. 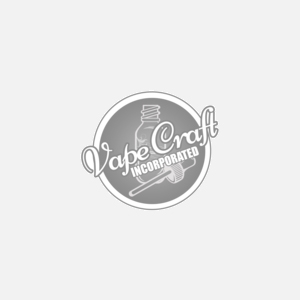 Vape Craft inc. was founded with a mission to provide high quality e-liquids with a price range that can satisfy all types of Vapers and their budgets. We look forward to serving you. Vape On.